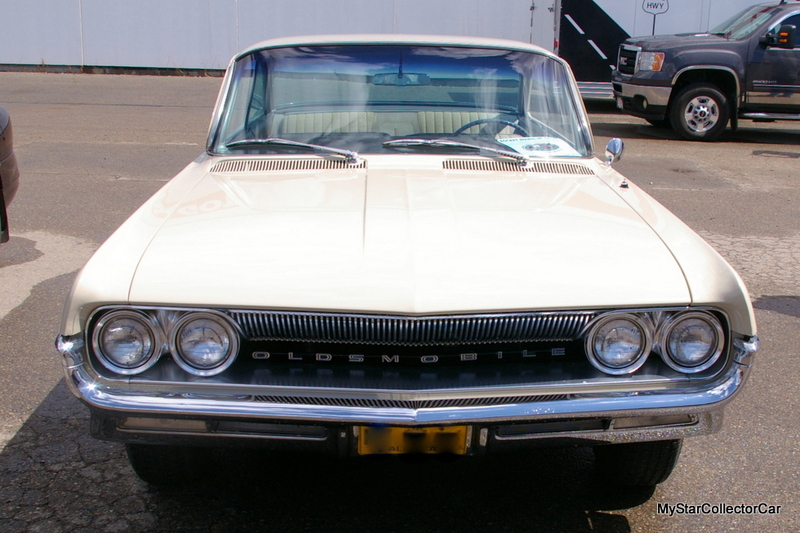 Oldsmobile was always an upscale brand in the General Motors stable. A base model Olds had finer appointments than a base model Chevy but it was not quite a Caddy in the GM scheme of things. However, Oldsmobile ownership meant you were likely able to pass the Joneses when it came to your neighborhood car status in suburbia. 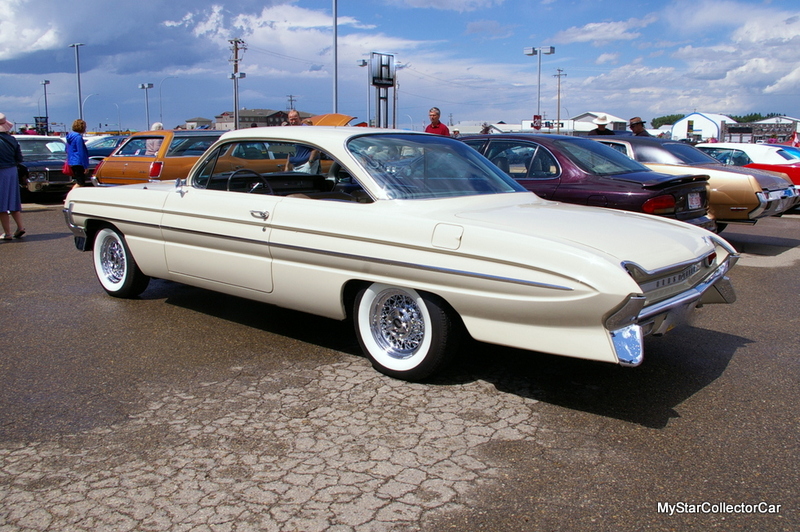 A 1961 Oldsmobile Dynamic 88 two-door hardtop was a flashy addition to a summer car show that showcased the Olds brand. 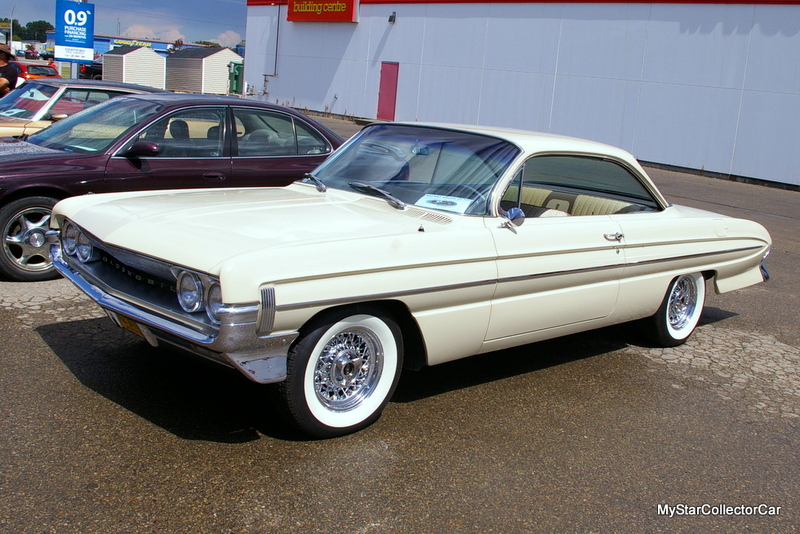 This stylish car left the GM factory during the Kennedy era and still draws a crowd of admirers in the 21st century. 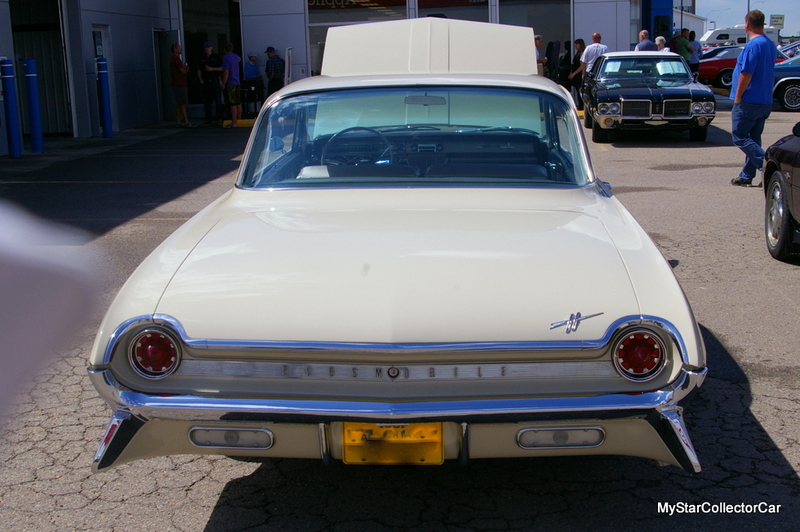 The car had an exotic style that was particularly noticeable on the rear end where the subtle pointed fins meshed with the bumper and taillight configuration to make the Olds look like it was ready for takeoff-just like the US space program. 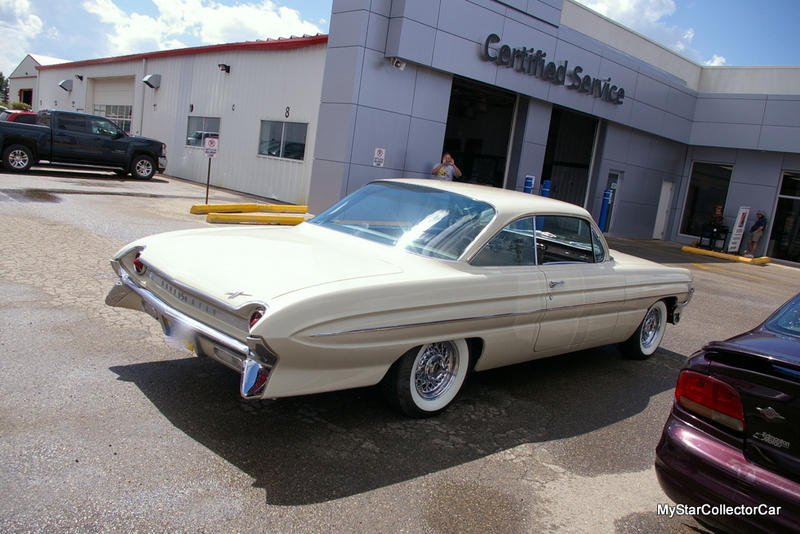 Craig Philips is the proud owner of the ’61 Olds and he is a very happy owner of the 58-year-old car. 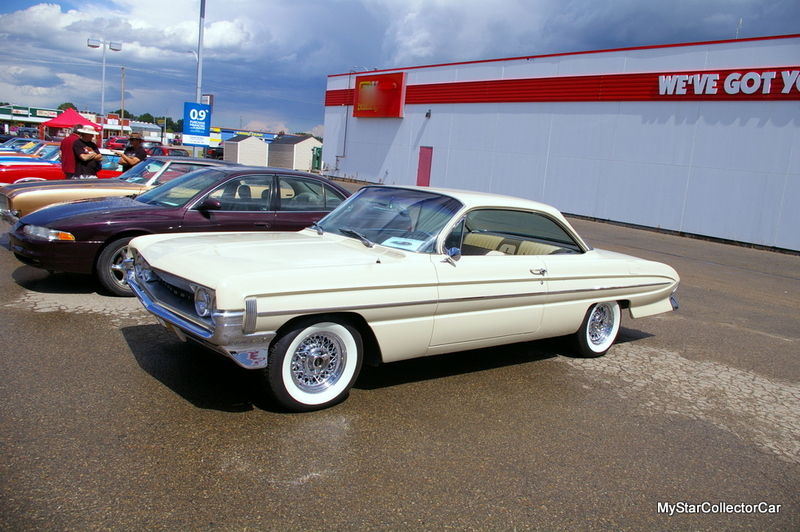 The Olds only has 38,000 original miles on it and has been pampered through the years. 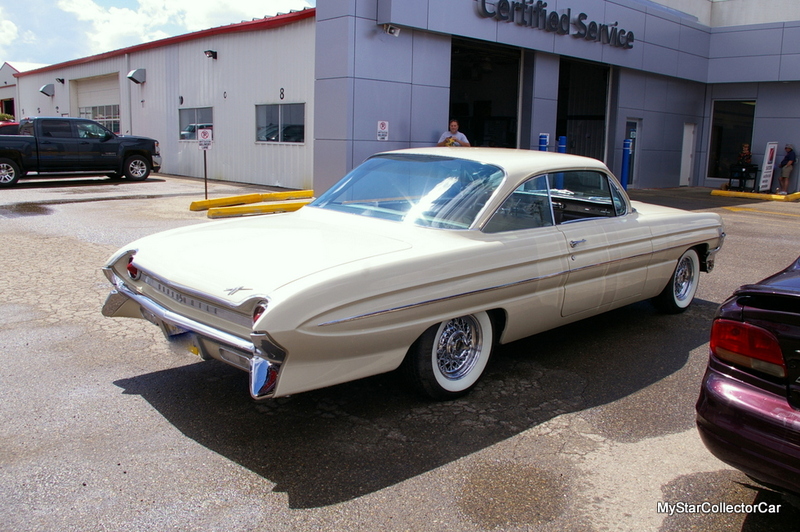 The only issue was the car spent much of its time in Arizona so the paint on the Olds was sunbaked and required a new paint job when Craig purchased the car. Craig tackled the paint project because he owns a body shop and wanted to show his staff that he could he still handle the work. Craig proved his point because the car has a flawless paint job done in the original factory color. Craig also mentioned the aftermarket 15-inch wheels and tires on his Olds but noted that he has the original steel wheels and dog dish hubcaps for his car. 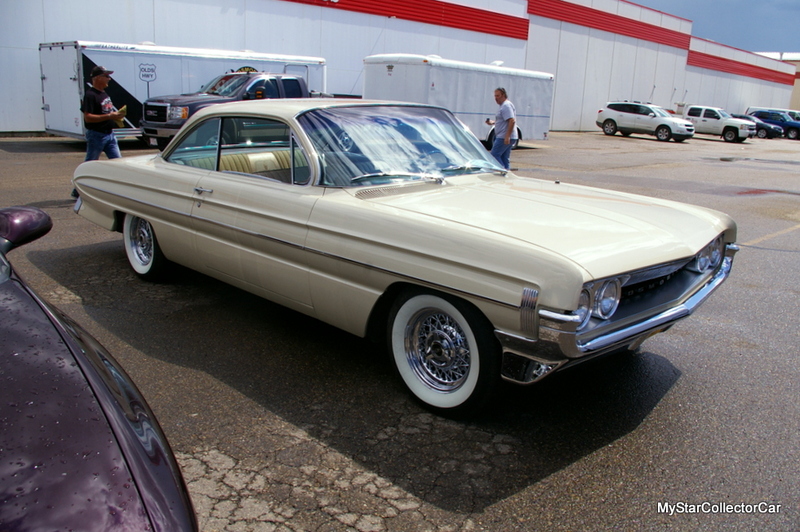 The rest of the car is essentially original, including its tinted windshield and glass. 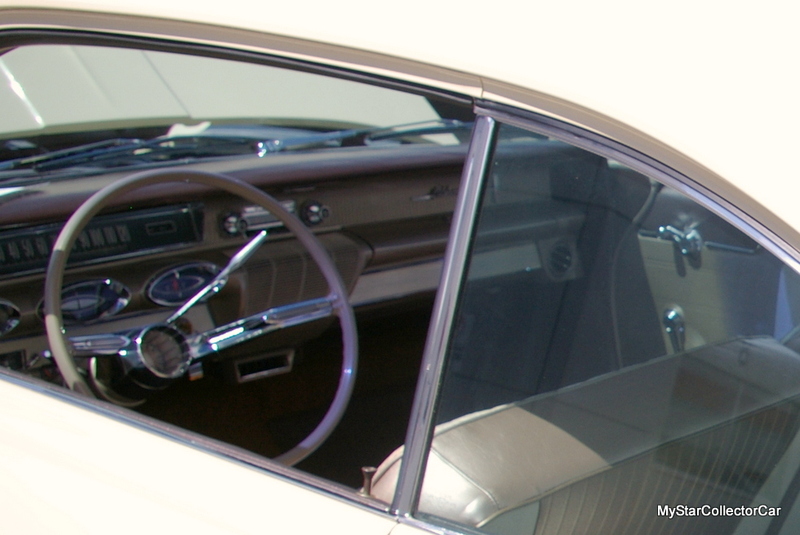 The Olds was well-optioned and had power steering, power brakes, power front seat and a power antenna. Craig pulled out the interior on his Olds when he painted the car and sent it to a local detail shop. Craig was happy because the upholstery only required a good cleaning to bring it back to its original glory. 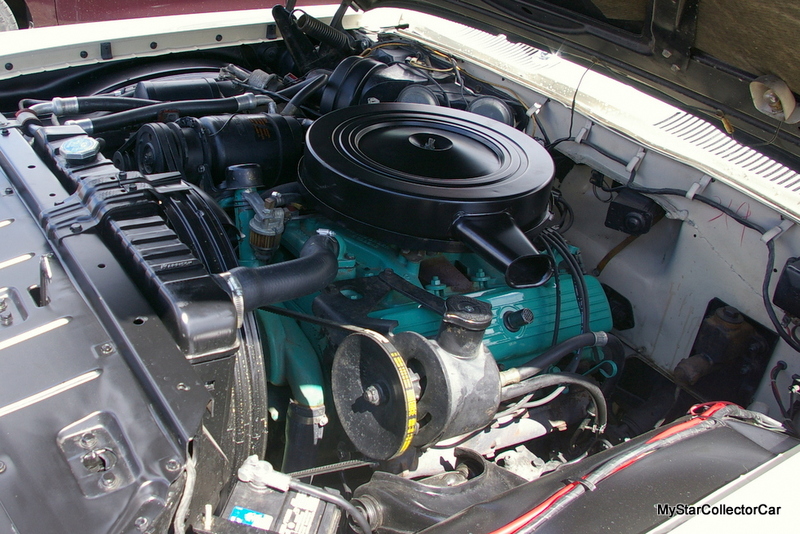 The Dynamic 88 still has its original power train, including its 394 cubic inch engine and automatic transmission. The car can still handle the pace of modern traffic, according to Craig, and he is more than willing to drive the Olds to car shows. 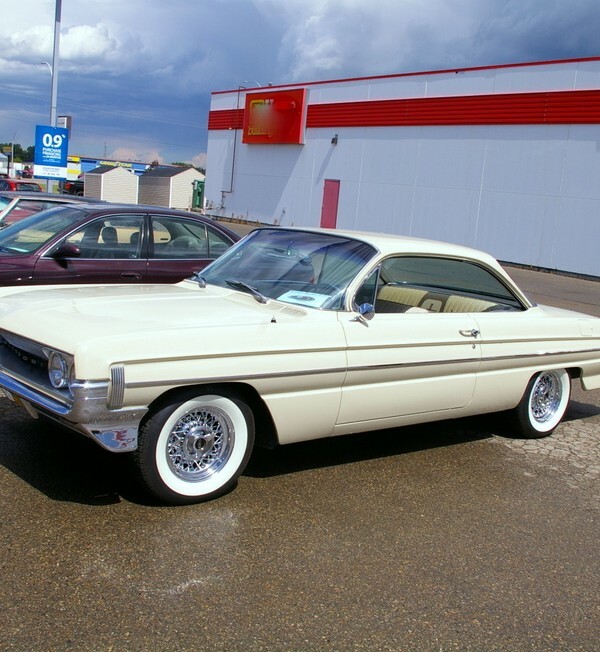 A trip in the Olds is both fast and comfortable because the cars were built for the open road in 1961 and offer those same features on today’s roads. Craig has always liked the social angle of car shows so he and his wife attend as many as time allows every summer. 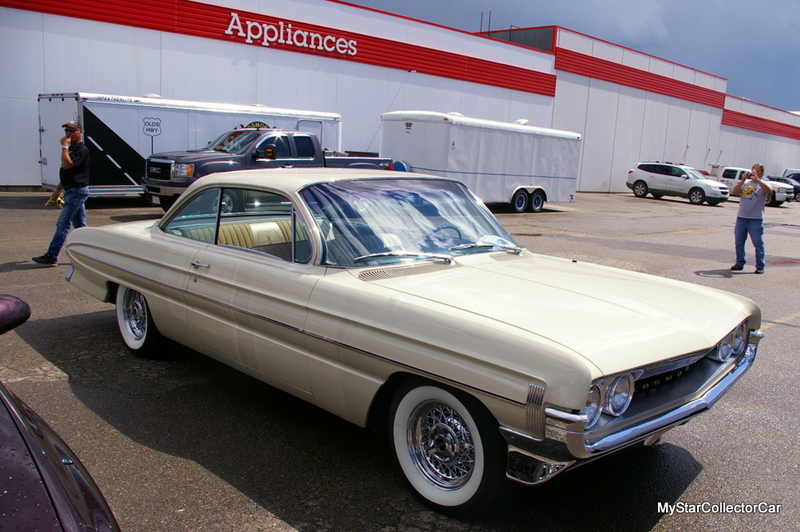 They spent plenty of time on the road during the summer and the 1961 Olds Dynamic 88 offers plenty of reasons to choose it as a mode of transportation to vintage car shows. However, the car was “the last piece of the GM puzzle”, in Craig’s words. He owns vintage models of his favorite GM brands and the Olds Dynamic 88 completed his wish list. The car also made his transportation choice to attend car shows a more complicated process.